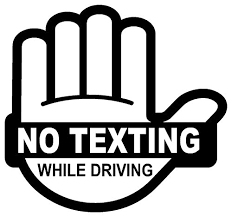 No matter where you turn, it seems as though you see more newspaper and magazine ads, TV commercials, and more that texting and driving is simply, well, a stupid thing to do. Most of the pictures depict horrendous motor vehicle accidents, which if you are lucky you have yet to have to deal with. Recently in Salt River, AZ, Officer Clayton Townsend, a member of the Salt River Police Department was killed by a distracted driver who was too busy texting their cellphone to pay attention to where she was going. According to the reports, Officer was conducting a routine traffic stop on a Tuesday evening, having pulled a vehicle over on the northbound side of Loop 101 close to McDowell Rd. The officer was standing by the driver’s door as is the norm. Suddenly a black passenger vehicle entered the breakdown lane, striking the vehicle Townsend had pulled over before hitting the officer, causing severe head injuries. The officer was transported to the hospital but later succumbed to his injuries later that evening. According to 40-year Jerry Sanstead, the driver of the black vehicle, he was texting when he lost control of his vehicle and after crossing two lanes of traffic, struck and killed the officer. Despite the efforts to stop people from texting while driving and causing more accidents like this one, these types of accidents have become all too familiar. The death of Officer Townsend made national news and is just one more reason for supporting continued action towards legislation in all 50 states making it a crime to be on your cellphone texting while driving. Arizona is currently one of only three states that do not have laws in place banning texting while driving. Let’s take a look at this for a moment if you live in Arizona, Montana, or Missouri (only applies to drivers under 21), your risks of being hit by a driver texting while you are conducting a traffic stop than in any other state. In this day and age, it’s hard to imagine any state not taking this step to protect not only their law enforcement officers but everyone else who happens to be out on the roads. It gets worse. How could it get any worse you ask? How many of you men and women in blue spend time texting while driving? Admit it; you probably justify it by saying your texting is job-related. But, no matter how you look at it, you are just another one of those “idiots” you should be pulling over. The only way we are ever going to stop accidents like the one that took officer Townsend’s life, leaving behind a wife and ten-month son is to do our jobs and keep working to put an end to senseless loss of life like this, is to pull over when you have to text and keep writing those tickets. If you live in one of the three states without texting and driving laws, you should work with others to get this changed. The life you save could be yours!